Like the contents of a fragile parcel, the mysteries of postal life have at last been shattered, revealing the inner workings in all their brilliant glory! No longer will men and women have to imagine what it's like walking from lawn to lawn, continually stepping over doggy landmines for hours on end! It's all right here! In a style that's decidedly humorous, not encycloped Like the contents of a fragile parcel, the mysteries of postal life have at last been shattered, revealing the inner workings in all their brilliant glory! No longer will men and women have to imagine what it's like walking from lawn to lawn, continually stepping over doggy landmines for hours on end! It's all right here! 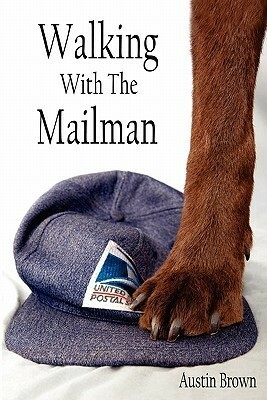 In a style that's decidedly humorous, not encyclopedic, quirky, but not in need of psychiatric care, letter carrier, Austin Brown, recounts fifteen years of postal life as a mailman. Writing with obvious delight and a firm grin, the idiosyncrasies of American culture are illuminated in a fresh and entertaining way. Against this backdrop, the reader follows his life as a young letter carrier trekking along the sidewalks of Indiana, at first quite green- terribly green- but in time growing in maturity, learning the secret arts of blue collar survival amid a land where the average citizen roams wild, unhindered and real. Tempests are battled. Frothy-mouthed dogs are wrestled. Mobs of sticky children are overcome. And wild-eyed Postmasters are evaded. Step into a world not unlike a Norman Rockwell painting, but one where the neighborhood dog is firmly latched on the mailman's leg.